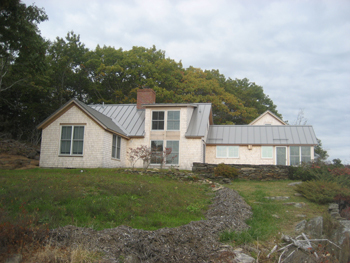 This home was another major remodel which was located on the water. There were major issues with mold on the interior and rotting framing members which necesitated repairs to all of the exterior walls. In some cases it required completely rebuilding them while preserving the roof above. This "gable" was added in order to create a foyer area with a vaulted ceiling inside the formal entrance. 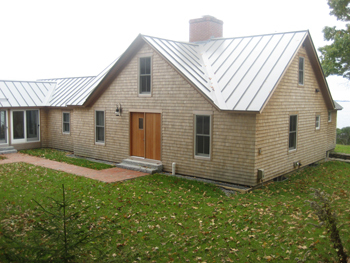 Flashings used to waterproof areas of the house were bent from metal which matches the standing seam roof color. 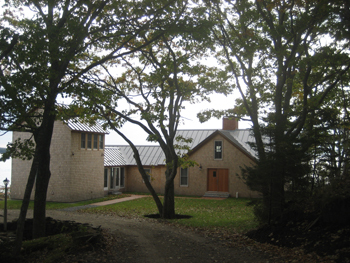 The "tower" portion of the house began as a one story garage that had been converted into living space. By adding a second story a guest area was created with a bed and bath upstairs and a sitting room with wet bar downstairs. However, once the owner saw the views created and the feel of the space they decided to make it their own bedroom. 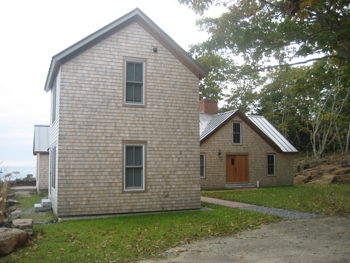 The water side of the house had a shed dormer added to enlarge a second floor bedroom with views to the open ocean. The right hand end of the building is literally only twenty feet from the ocean at high water. A breakfast nook was located to enjoy the morning sun that rises in the east. 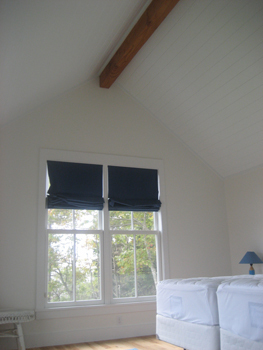 What was originally a low, flat ceiling was raised and sheathed with toungue and groove pine boards. 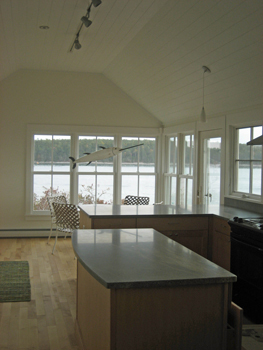 The granite counter tops can be seen on the breakfast bar and island of the kitchen space. Another example of a change to a cathedral ceiling. The exposed Douglas Fir beam not only acts as a structural member, but as an asthetic design as well. 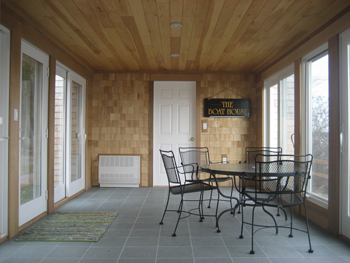 A screen porch connects the tower portion to the rest of the house. A great space in the summer to watch local lobsterman working, but with a heater and insulated Marvin sliding doors, the winter months can be enjoyed as well. The components of this unique rail system were constructed in the shop and assembled onsite. 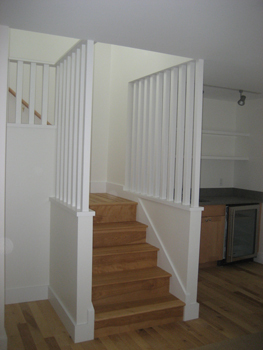 These two pictures show how we can collaborate with the homeowner to create custom products to build what they want. 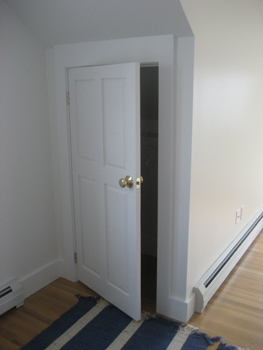 This door was shop built to match exisiting doors. It was an awkward size that could not be purchased through traditional vendors. 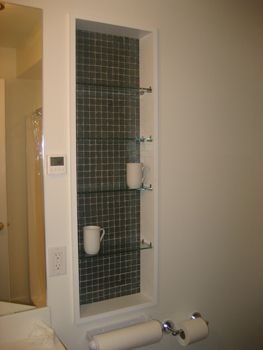 The bathroom shelves were inspired by a magazine picture the homeowner had seen. Another example how good communication by homeowner, architect, and builder can work.